The fact that there are benefits and drawbacks to owning a credit card may leave you wondering whether you actually need a credit card at all. However, despite the fact that having a credit card opens up the possibility to incur debt, it also provides you with purchasing power and allows you to rebuild your credit. There are many considerations that you should factor into your decision about whether you need a credit card or not. In an article published on Oprah.com, Suze Orman suggests that responsible use of a credit card, such as keeping low balances on cards and paying on time, can help increase your credit score. Your history of using a credit card responsibly is shared by the card issuer with credit reporting agencies. Over time, responsible use can show that you are able to handle using credit and may raise your credit score. It's quite easy to accumulate credit card debt. Racking up thousands of dollars in credit card debt is costly, requiring you to pay both the amount of the debt and any interest accrued on that debt. If you don't pay that debt, it could result in your credit score lowering. Prior to acquiring a credit card, ensure that you can handle the ability to charge whatever you'd like to a card and not need to pay it until later. If you're unsure whether you can use credit responsibly, you may need to consider acquiring a secured card or not obtain a credit card at all. If you're uncertain whether you can handle using the funds offered via a credit card responsibly, consider your spending behavior with your debit card. According to Dave Ramsey, a personal money managing expert, using a debit card allows individuals to purchase items without incurring debt. Because you can only charge the same amount as is in your bank account, using a debit card gives you access to your funds but does not carry the same risk of accumulating debt. If you can use your debit card responsibly, you may be ready for a credit card - or you may decide you don't need one after all. Additionally, Ramsey points out that federal law and most banks offer liability protection to debit card holders, thereby limiting your responsibility for unauthorized charges made to your debit card. If you doubt your ability to handle a credit card, consider sticking with a debit card. Note, however, that a debit card does not have the same positive reporting effects on your credit score and report as does a credit card. There are numerous benefits to having a credit card. These benefits include increased purchasing power and increasing your creditworthiness. Some companies and businesses only accept credit cards or otherwise penalize individuals who do not have credit cards. For example, some car rental agencies require that you provide a credit card for them to have on file to charge any damages you cause to the vehicle. If you do not have a credit card, the rental company may require that you make a significant down payment to cover any potential damages. Usually, you may rent a hotel room without a credit card, but some hotel chains may require that you provide one as a deposit to pay for any damage occurring during your stay. Having a credit card gives you extensive purchasing power; you can use the card wherever it is accepted which, with many major cards, is internationally. This means that you always have peace of mind that you will be able to pay for items in emergency situations or whenever you would like. Although there are other ways to establish your credit, having a credit card can positively affect your credit score. In fact, it is an easy way to begin establishing your credit. Using a credit card and paying it off each month shows that you handle your finances responsibly. Your actions in being responsible are reported to credit reporting agencies and help establish you as a good credit risk. According to the American Institute of CPAs, a benefit to credit cards is that they help you build a positive credit record. Having a good credit score and being considered a good credit risk can help you acquire other types of credit in the future. For example, mortgage companies and car loan companies look to your credit score when determining whether to offer you a loan and what interest rate to charge you for loaned funds. A good score may result in your receiving more money at a better interest rate. 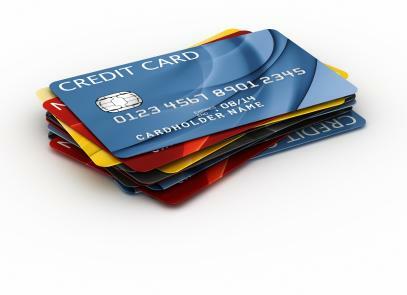 Most credit card companies offer cardholders rewards for charges made to their cards. These rewards may be in the form of cash back bonuses for each dollar charged to the card, points that can be redeemed for items or even special types of insurance, such as trip insurance. These benefits may allow you to acquire items at a lower cost or not have to purchase items that you otherwise would need to pay for. The American Institute of CPAs cites the perks of credit cards, such as cash back and the ability to earn frequent flyer miles, as a positive aspect of credit cards. Despite their many benefits, there are potential drawbacks to having a credit card. Owning a credit card leaves you open to credit card theft. Theft can occur when your entire card is stolen and used by the thief, lost and misused by an individual who finds it or when your credit card account number is stolen and charges made to your card using the account number. However, this drawback is not overly significant because the law limits your liability in cases of theft or misuse of your credit card by an unauthorized user. As Dave Ramsey advises, using credit cards has a high potential to create large amounts of debt. While having some amount of debt and paying that debt off each month or on a regular basis can lead to your credit score increasing, there is always the chance that you will charge more than you can afford and find yourself in debt. If you want the buying power of a credit card, but don't want the option to run up your balance, consider a secured card. These cards may limit the drawbacks typically associated with credit cards and have the potential to help build a credit history. A secured credit card requires a cardholder to deposit funds to secure the charges they will make to the card. This deposit may be all -or a portion of- your credit limit. For example, a secured card with a $2,000 limit may require that a cardholder deposit $1,000 toward the credit card limit. In other instances, the $1,000 deposit might be the entire credit limit for the card. Cardholders must still make monthly payments; payments are not deducted from deposited funds unless the cardholder defaults on payment. With the exception of the need to deposit funds, secured cards operate the same way as traditional cards. Secured cards often have liability limits and offer rewards and other benefits to cardholders. Having a secured card may eliminate the potential of going into debt that you cannot afford to pay. The decision of whether to add a credit card to your wallet should not be taken lightly, mainly because of the possibility of your acquiring large amounts of debt by using your card and not paying off the balance. If, however, you have a history of using credit responsibly, a credit card can help build your creditworthiness and increase your purchasing power.